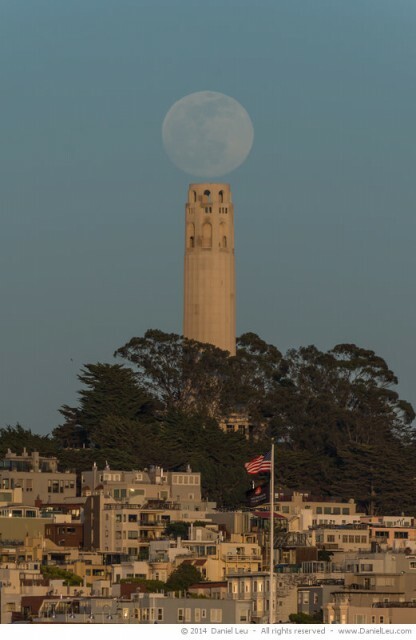 Tonight I went to the Aquatic Park here in San Francisco to see the moon rising over Coit Tower. Right from the beginning I knew the timing was not ideal as the moonrise was 53 minutes before sunset. And I was right: I got an almost perfect alignment, but the sky was too bright because the sun was still shining. There is only about 10 minute difference between that previous photograph and the next. But the sky is a bit darker now and the moon is more dominant. 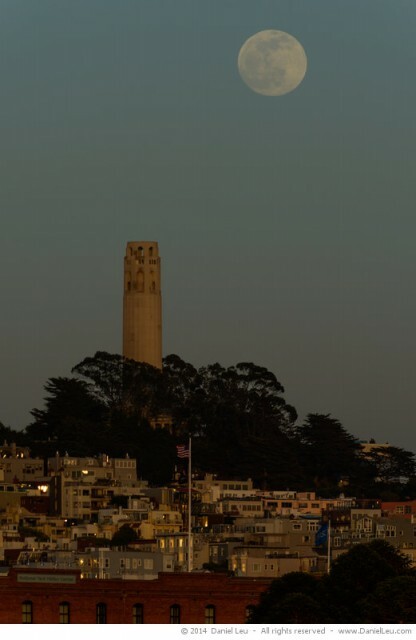 The golden light on Coit Tower is a plus. 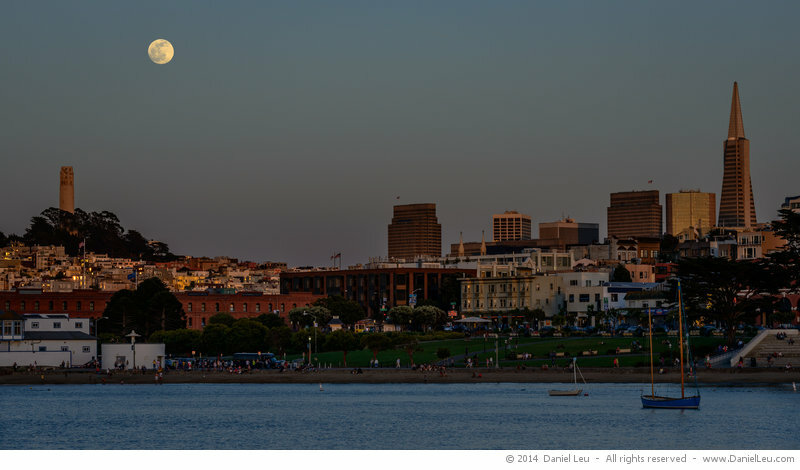 In the end I like this last image the best, with the Aquatic Park in the foreground, the city skyline with Coit Tower and the Transamerica Pyramid and the moon up in the sky.